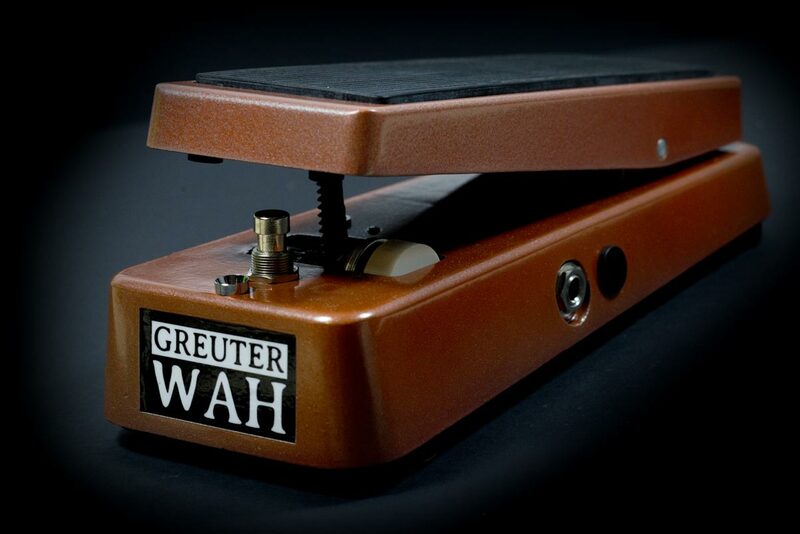 The Greuter WAH is a classic vintage Wah based on the Clyde McCoy. 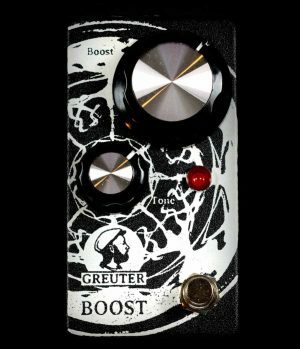 A dirty sounding pedal with slightly overdriven transistors. Very musical, since your guitar notes are always coming trough the wah-filtered sound. 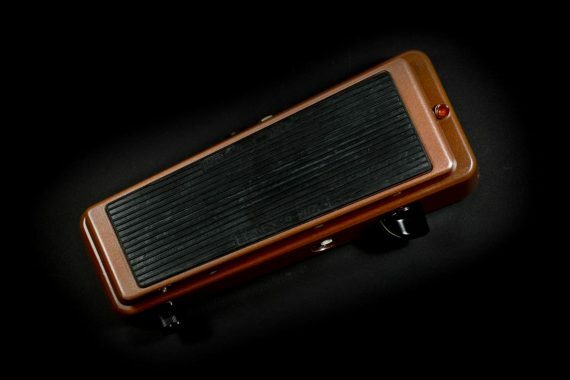 Even if you are in the treble position you can still hear the bass notes. 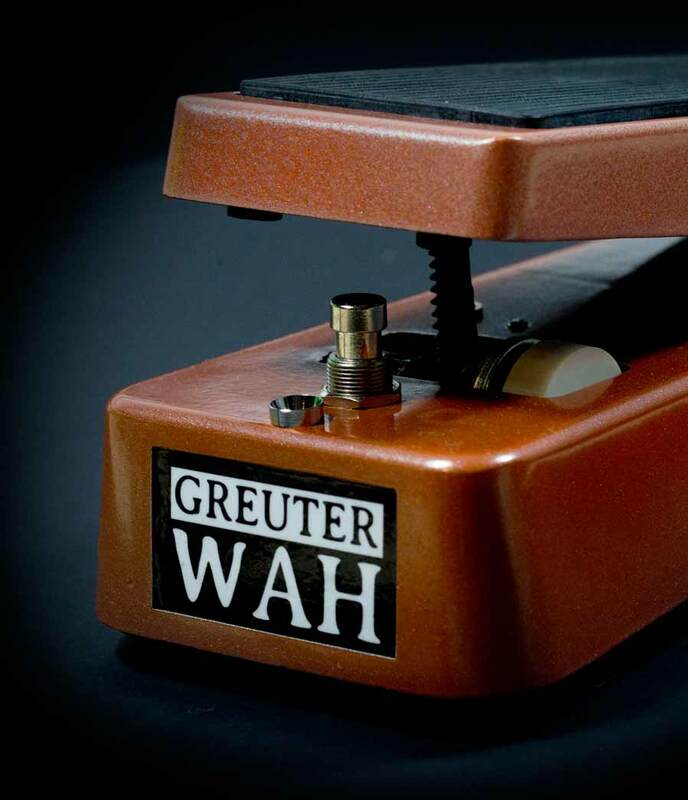 Unlike the modern Wah, which filters most parts away from the original guitar frequencies. 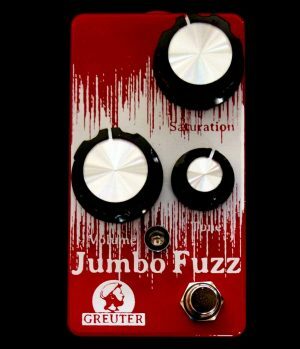 Very vintage and vocal sounding pedal with a switchable buffer to use it with every pedal – even with germanium fuzzes. LED for ON/OFF. 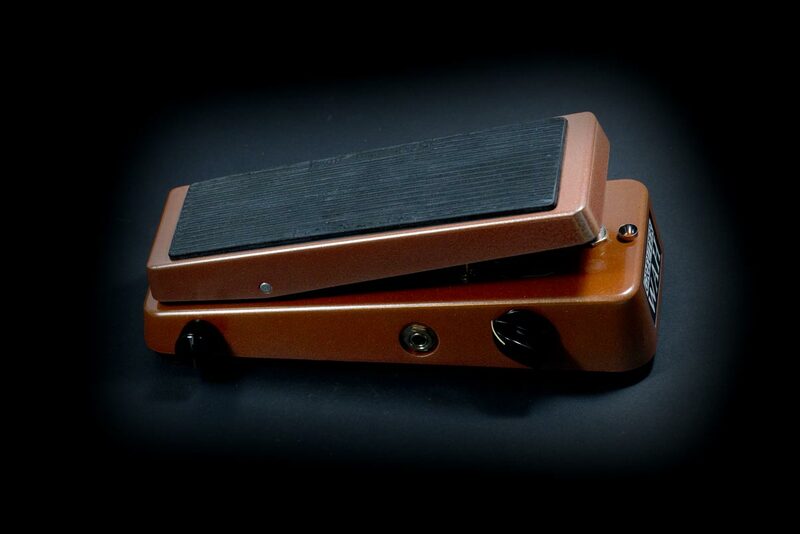 Hand built in Switzerland, true bypass, Switchcraft plugs, handmade Wah inductor, hand selected, matched and biased silicon transistors. 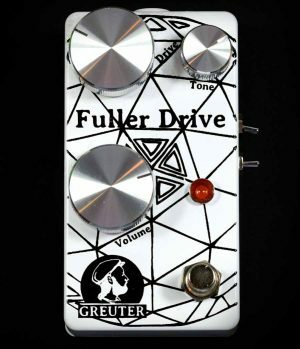 There’s a little switch to turn the buffer on or off. The pot on the side is the Intensity control. It starts from far left with a thin wah sounds and it gets bigger, louder, fatter and the filter gets more extrem as more you turn it to the right. With the 3-way rotary Switch you can choose the voicing or range of the wah. From dark, middle to bright. 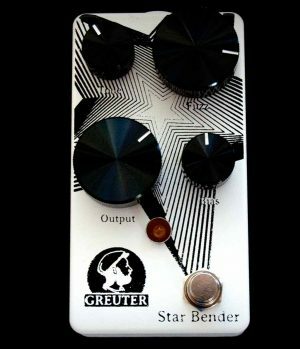 Works with normal 9V dc adapter (negative tip). We recommend a regulated and isolated power supply. R.I. – with Range and Intensity controls.